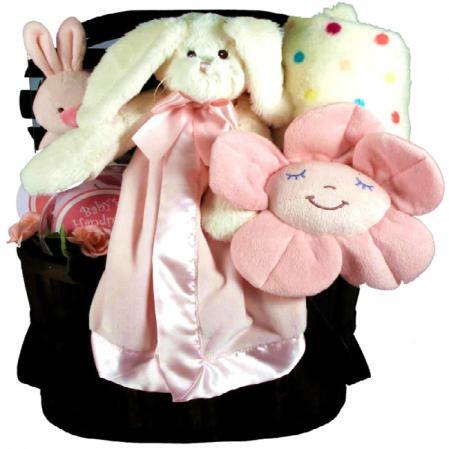 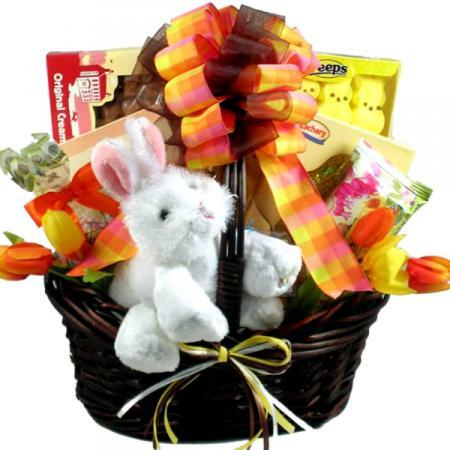 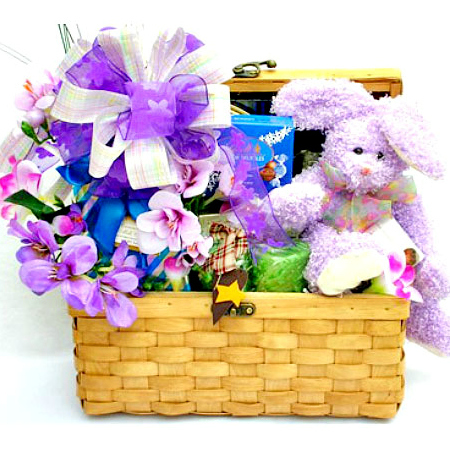 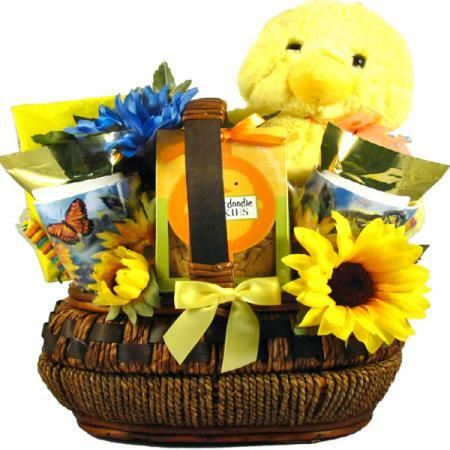 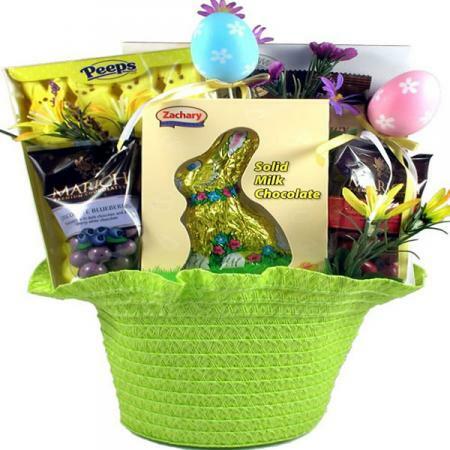 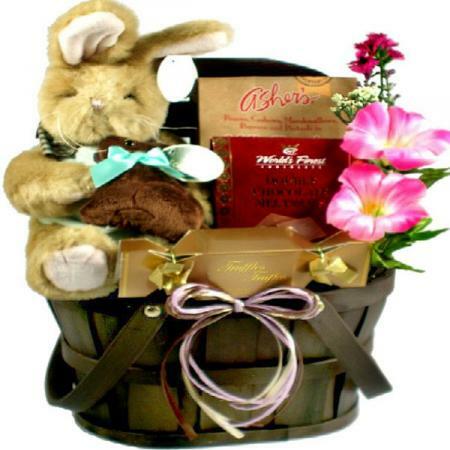 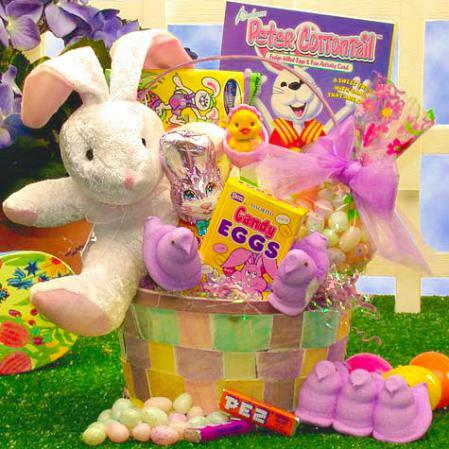 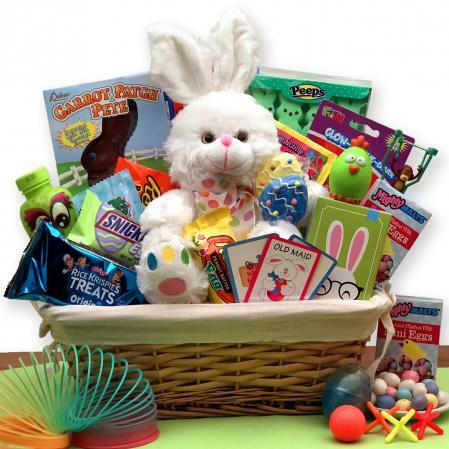 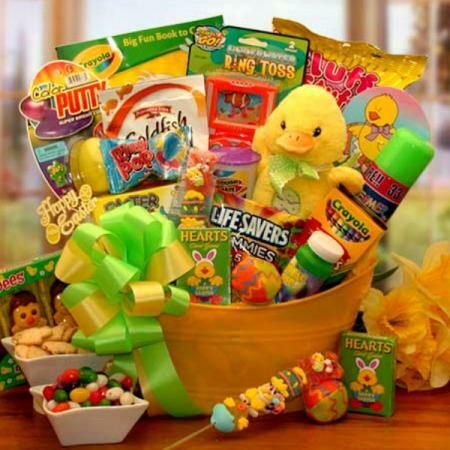 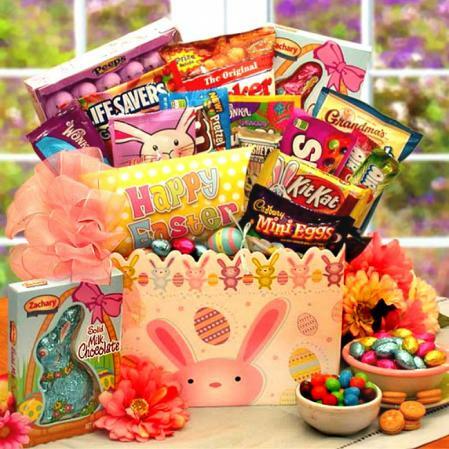 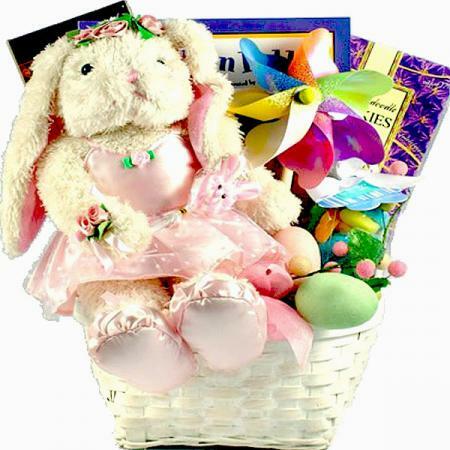 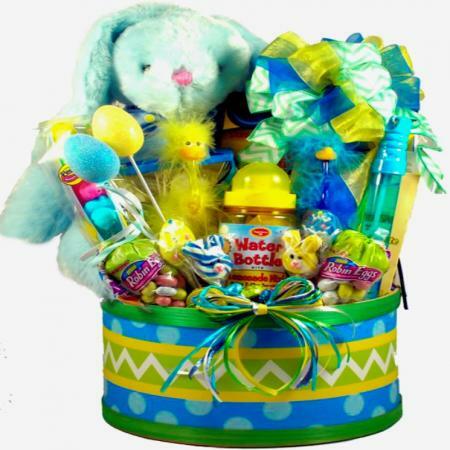 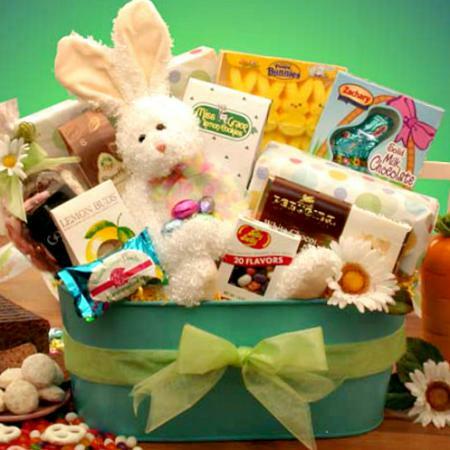 This one-of-a-kind Bearington Bear Bunnies Easter gift basket includes the finest sweet treats and Easter bunnies. 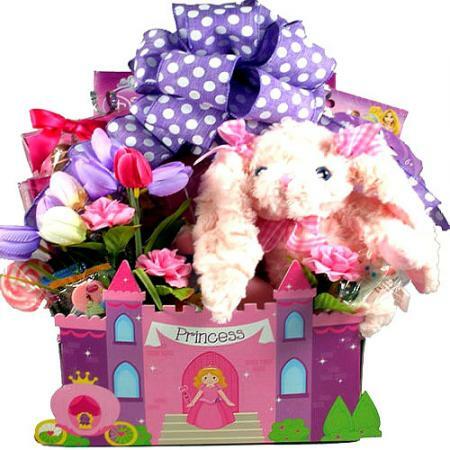 Perfect for kids and adults. 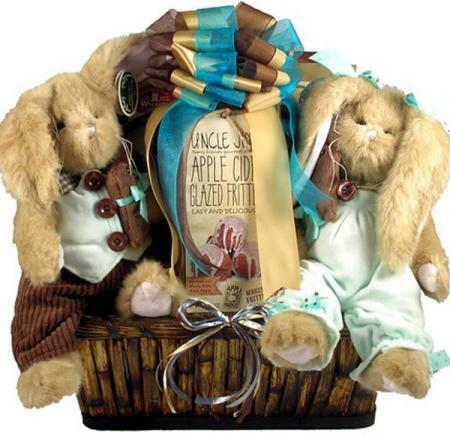 These Bearington Bear Bunnies are the most adorable bunnies available anywhere. 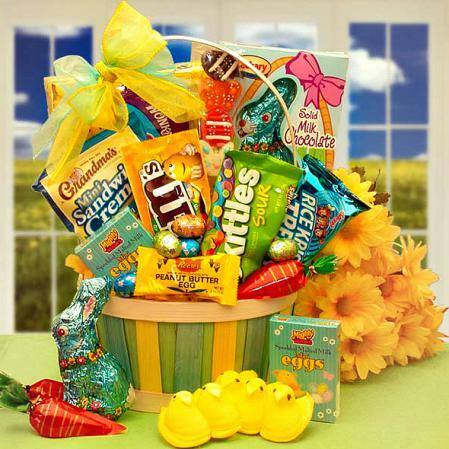 This Easter basket is going to be appreciated by anyone fortunate enough to receive it. 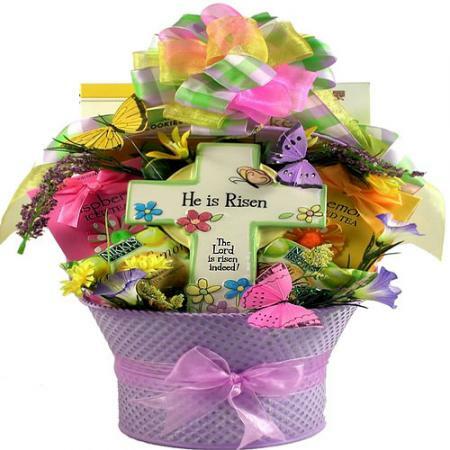 This one-of-a-kind Easter gift arrangement is absolutely gorgeous! 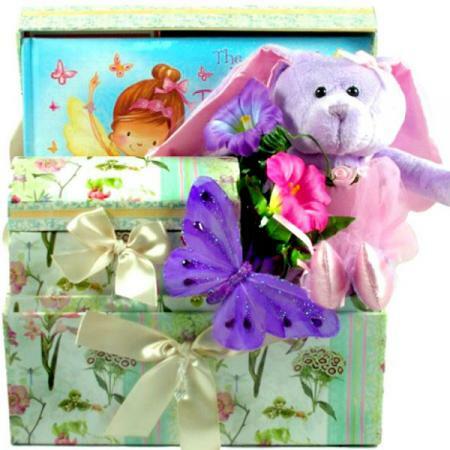 It is a fantastic choice for for the adults on your gift list as well as the children. 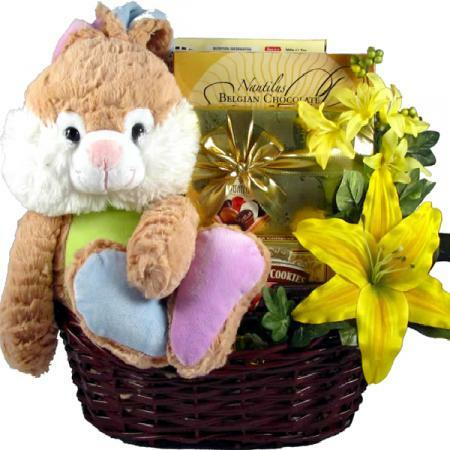 It offers two large and incredibly sweet, plush bunny rabbits from the world famous Bearington Collection! 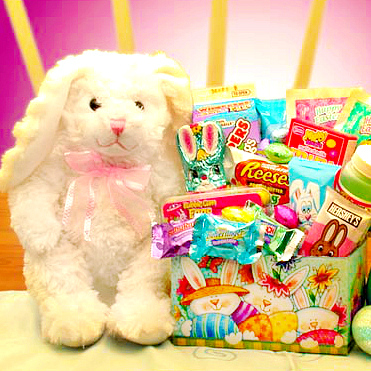 They are adorable! 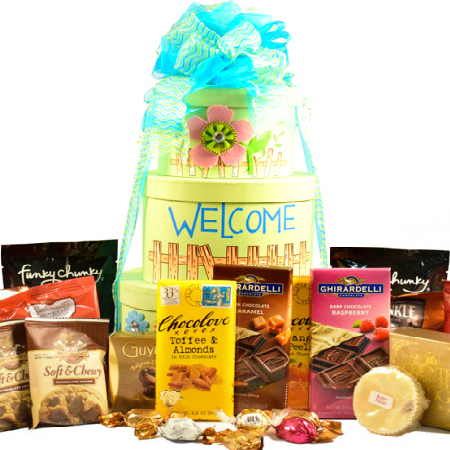 This gift basket also includes a collection of some of our finest gourmet gifts and sweet treats! 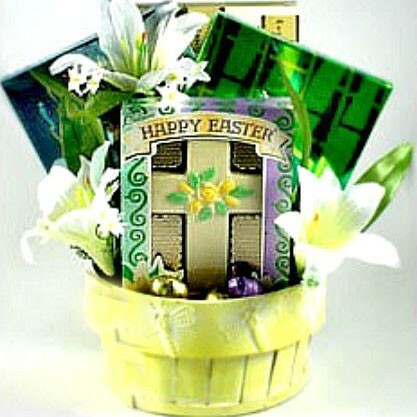 This is a wonderful Easter gift for anyone on your gift list! 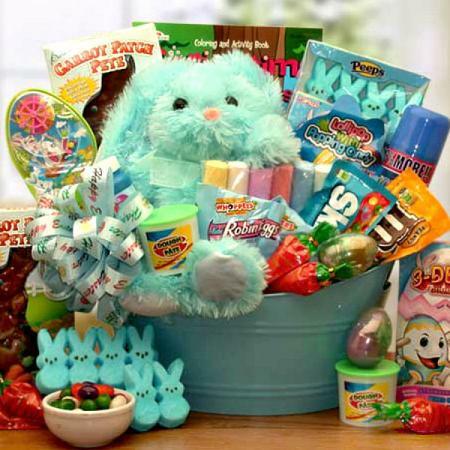 Let there be no questions here, this is one of the finest Easter baskets available anywhere - with the possible exception of the Easter Bunny himself. 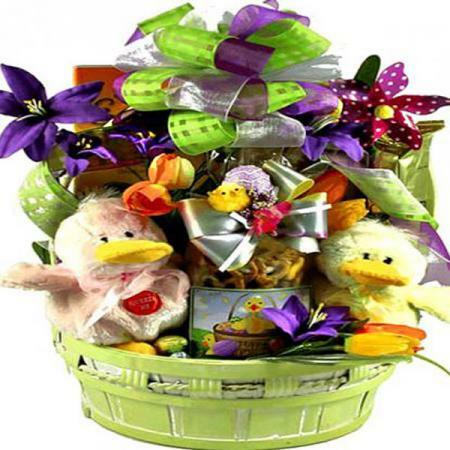 Click here to more new gift baskets. 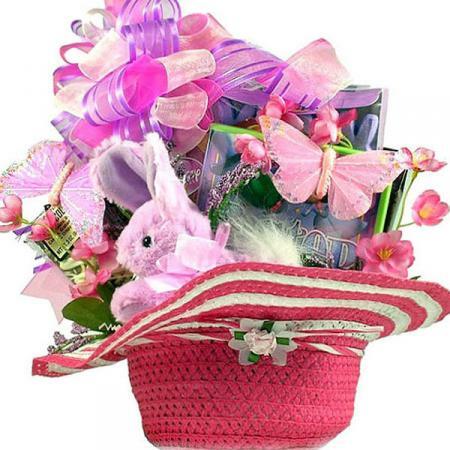 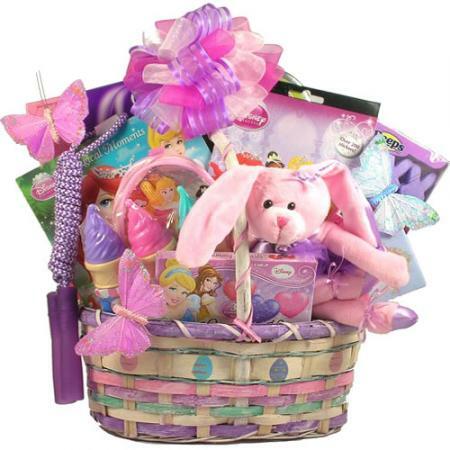 Sent this basket to my niece for her Easter present. 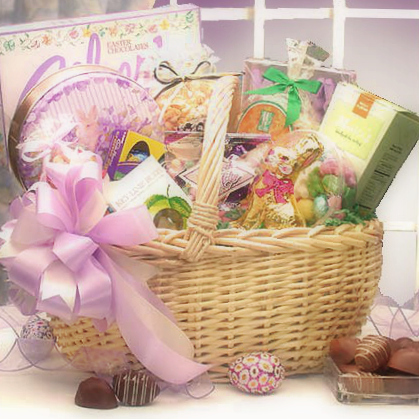 She said it was great! 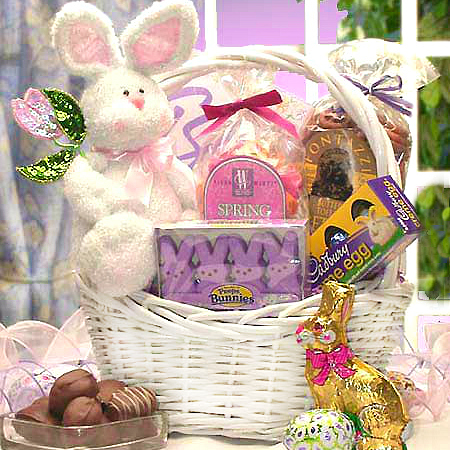 However it was sent a week earlier than I requested... 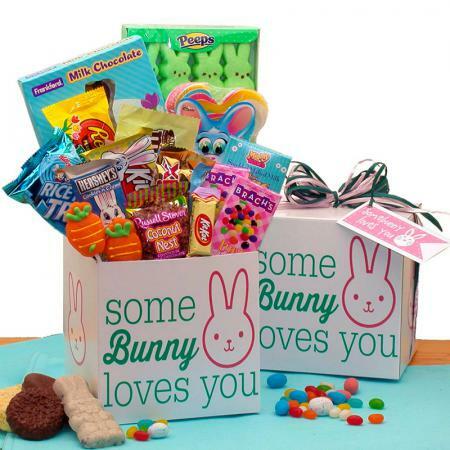 This was a bit disappointing. 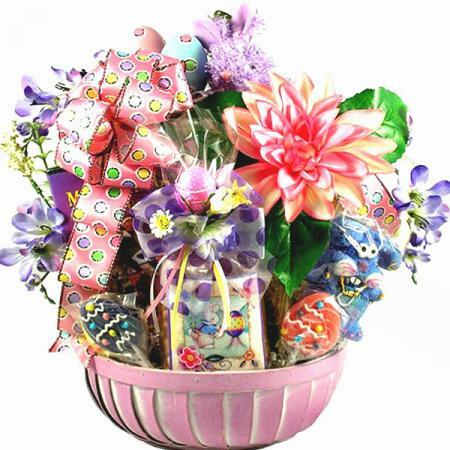 I will order again but, will have to have better communication.